(SPOT.ph) There’s a chance you don’t know him. 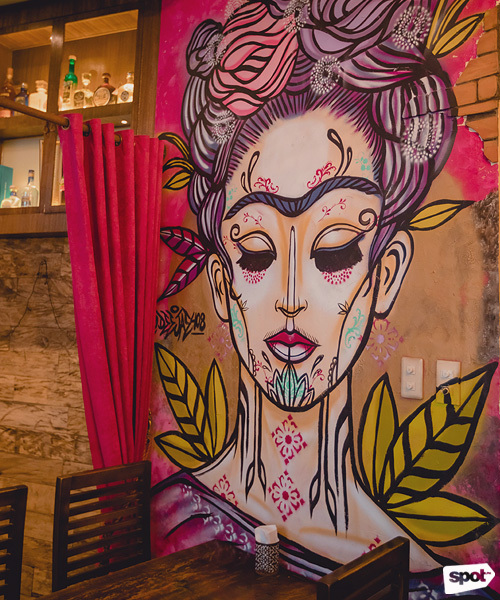 There’s a greater chance you’ve come across one of his murals while munching on a burrito—and you’ve possibly gawked at it for a good few seconds. 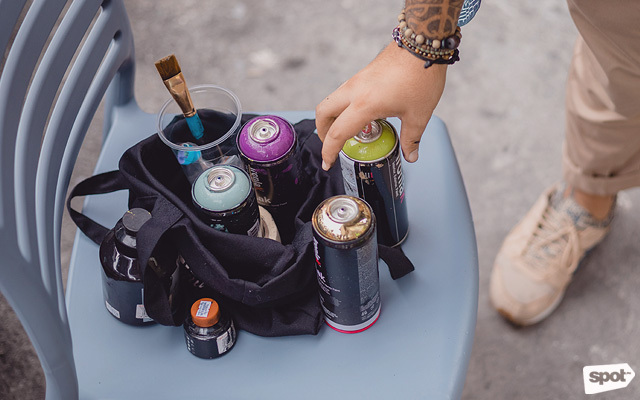 His characteristic street art is sprinkled across the Metro, from quirky neighborhood eateries to big-name malls—often for a cause grander than him. 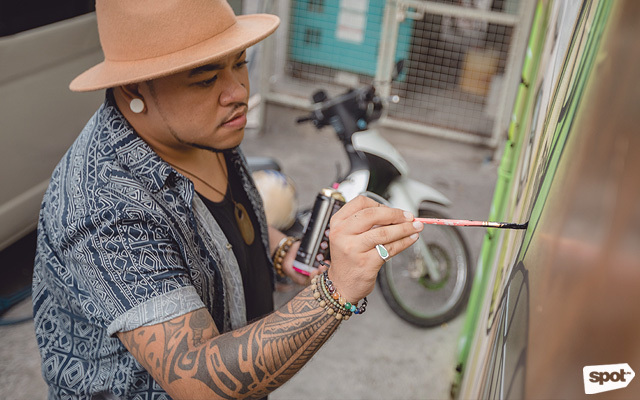 Meet Filipino-Polynesian street artist Dee Jae Pa’este, whose works are seen in establishments like Hole in the Wall, Señor Pollo Makati, Sensei Sushi, Mighty Quinn’s, Cu Chi Bar, A’Toda Madre, and The Palace Pool Club, to name a few. 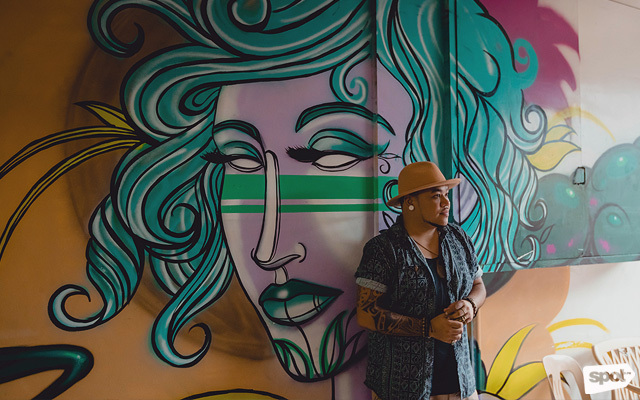 Growing up in a family seemingly obsessed with art, it was inevitable for Dee Jae to end up on this creative trail. 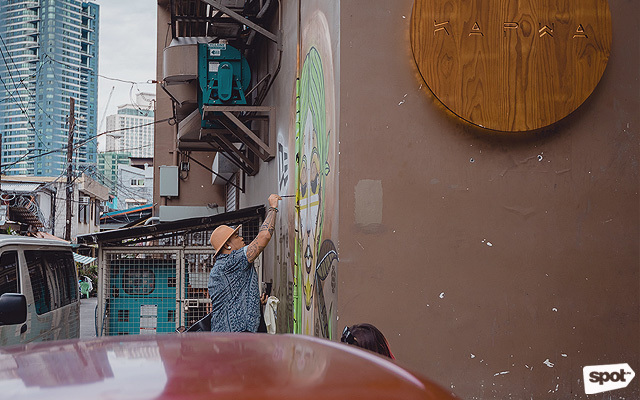 Despite the many things he can be, and the many breaks he could have gotten in California, New York, or Tokyo, chasing the path as a street artist in Manila, he says, was his only option. 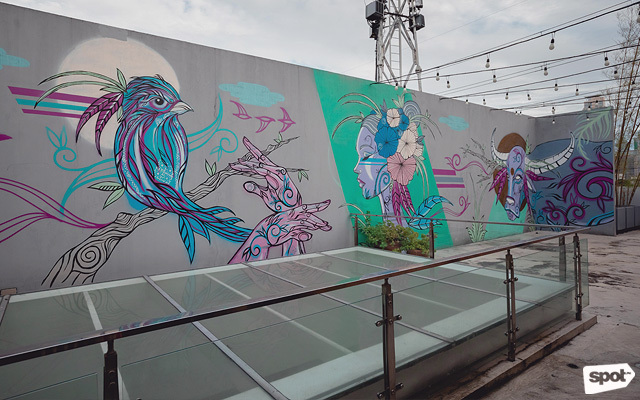 In 2011, Makati-based gallery Vinyl on Vinyl invited Dee Jae to do an art show. 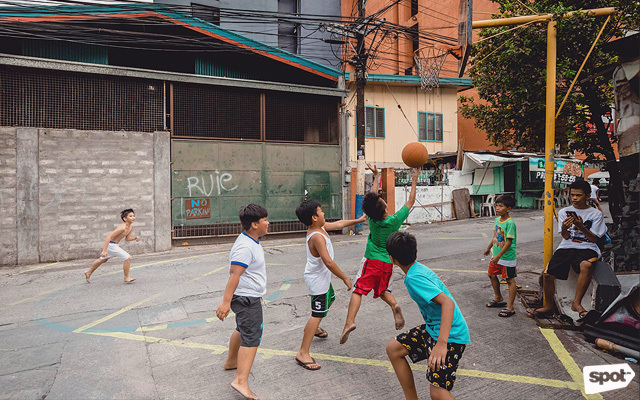 For him, it was an awakening of sorts—and he hasn’t left the Philippines since. Two years in, and jumping from one project to another, he co-founded events concept Manila Pop Up with retailer Mike Concepcion and restaurateur Erwan Heussaff. 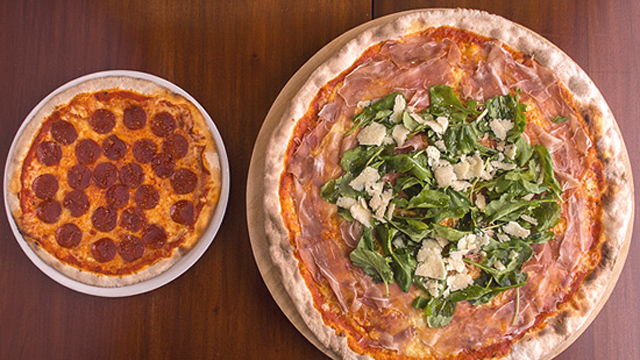 Their vision to bring together food, music, and art into one venue (although sporadically) was a hit that led to several installments. 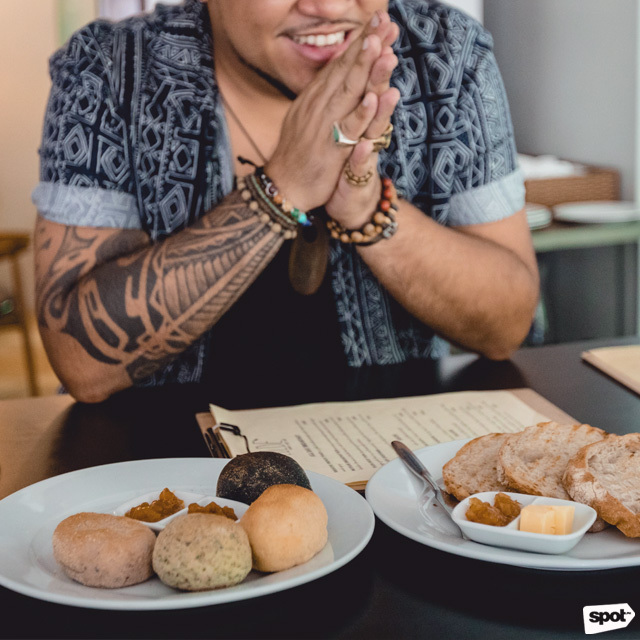 Manila Pop Up began Dee Jae’s foray into events consulting and, eventually, doing food tours around Poblacion—Makati’s old downtown district, also baptized by some as "Williamsburgos" (after Brooklyn’s hipster neighborhood, Williamsburg) or "Backwell" (a portmanteau of "back" and "Rockwell"). 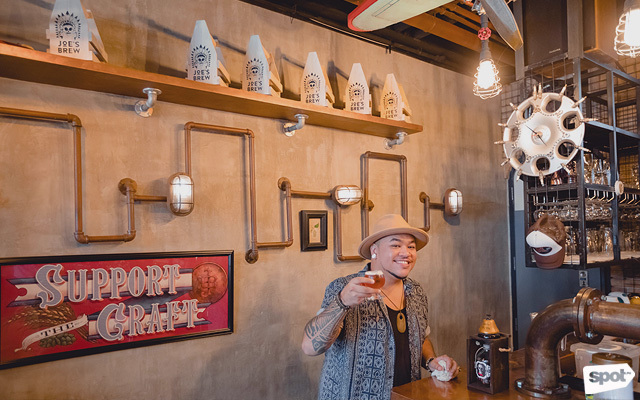 In the years since he moved to the country, Dee Jae has been living in Poblacion where a good chunk of Manila’s dining and art scene thrives. “There’s something taboo about being in the red-light district, but it attracts creatives and weird people like me,” he says. He admits, though, that he has turned down countless offers to paint restaurant murals because he wasn’t excited by the food or space. 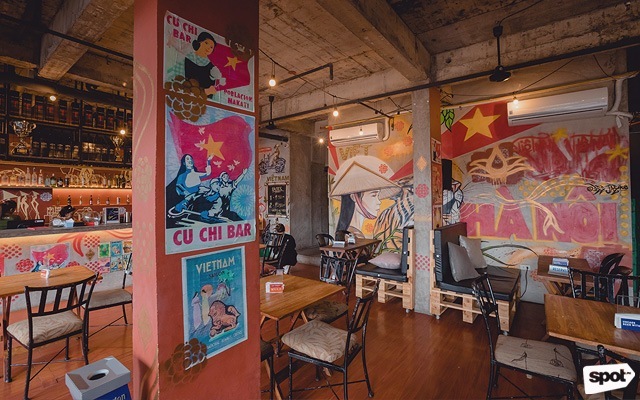 “Wherever you see my murals, it’s like a little stamp of approval of great places. 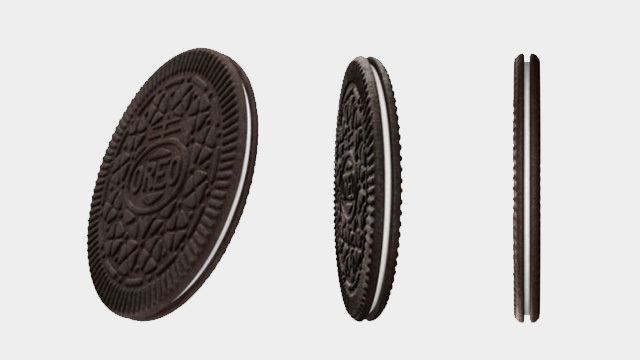 And they stay around!” Dee Jae says in jest. 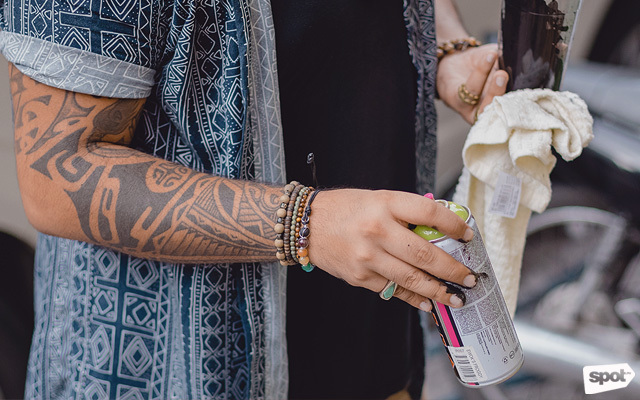 Asked to describe his style, he says it’s a mixture of Filipino indigenous and tribal patterns and futuristic elements. On the other hand, you’ll also see a lot of curves and color, deities, feminine faces and bodies in his works, which Dee Jae adds was inspired by all the strong women in his life: his grandmother, mother, and of course, his girlfriend. He is grateful—and it's a trait that is almost immediately evident in his friendly openness; his enthusiasm for art and his desire to impart some form of happiness on whoever might happen to chance upon his work. 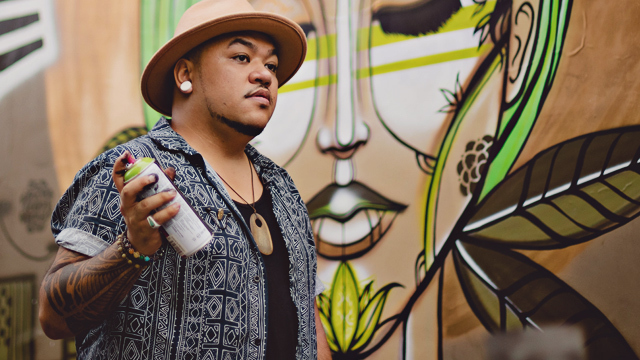 Public art, Dee Jae believes, should matter to everyone because not everyone has access to galleries. “I never thought I would be able to thrive and really grow my art style and share as much as I [have] here in the Philippines,” he says.